Ask an Expert: How Does Botox Help Excessive Sweating? Clearly, if there’s a time of year when you’re sweating more than usual, the summer is it. There are some individuals , however, who suffer from sweating so intense and consistent that it affects every aspect of their lives. It’s called axillary hyperhidrosis and it’s a real condition. Beauty High: There’s a lot of conversation about Botox being used to stem hyperhidrosis/excess sweating. How exactly can Botox help? Dr. Meghan O’Brien: Botox is an FDA-approved treatment for axillary hyperhidrosis, or excessive sweating of the armpits. It helps stop the nerve signal that tells the sweat glands to produce sweat, but only in the area that is treated. 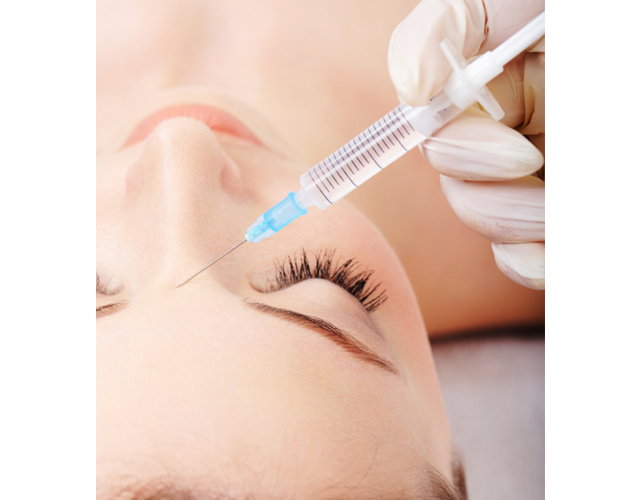 What is the procedure involved in using Botox to stop excess sweating? One hour prior to the treatment topical numbing cream can be applied to minimize discomfort, although very often patients don’t find this necessary. The armpits are cleaned with an antiseptic wipe, then Botox is injected in a grid pattern in each armpit with a small needle. An average of 15-25 injections are used, spaced about 1 cm apart with minimal pain. Sometimes, a starch-iodine test is performed prior to the injections to highlight specific areas of the armpit where the sweating is more pronounced. For this, the patient does something that will cause them to sweat after application of iodine, which is then followed by starch. If this test is used, the Botox injections will be concentrated in the areas where there is more obvious sweating. How many treatments are needed to see results? One treatment takes 3-4 days to start working, and can last anywhere from 4-to-almost-7 months. When the Botox wears off, another treatment is necessary. Are there any side effects? Rarely, a small bruise may form at the site. It is possible to have a severe allergic reaction to the Botox. There are of course many more potential side effects listed with the medication, but I rarely see any of these side effects in the armpit area. What is the approximate cost for the treatments? As an FDA-approved treatment, some health insurance plans will cover the treatment if other treatment options have failed. Out-of-pocket cost is about $1000 for one treatment. Are there any patients who aren’t candidates for this type of treatment? Is there a minimum age requirement? You should not get Botox if you are pregnant or breastfeeding. There is no minimum age for treatment.